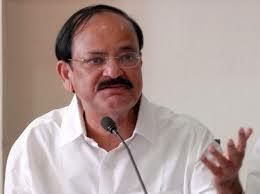 The Vice President of India, M. Venkaiah Naidu has said that we need to extend reservations for women in Parliament and Assemblies on the lines of Panchayats. He was addressing the function ‘Building a New India’ being organized by the FICCI Ladies Organization, in Hyderabad today. The Deputy Chief Minister of Telangana, Shri Shri Mohammad Mahmood Ali and other dignitaries were present on the occasion.The Vice President said that India today is on the threshold of transforming into a major economic power. For this all Indians will have to work with renewed passion and commitment towards building the New India and the India of the dreams of Mahatma Gandhi, Dr. B. R. Ambedkar, Pandit Deen Dayal Upadhyay and several other freedom fighters, he added.